New Balance began as a Boston-based arch support company in the early 1900's, developed into a specialized shoe manufacturer in the 1970's, and has grown to become a leading global athletic products company. Today, New Balance is dedicated to the same principles it was founded upon: superior customer service, a strong commitment to American workers and domestic manufacturing, community service, and leadership in product fit and technological innovation. With a history of producing performance baseball product, New Balance is proud to partner with elite athletes, like C.J. Wilson, by supporting them in their training and competition and leveraging their expertise to help us develop better product. Additionally, C.J. Wilson and all Team NB athletes share New Balance’s passion for giving back to the community. New Balance works with athletes to Make Excellent Happen on and off the baseball field through support of player charities, fundraising events and product donations. 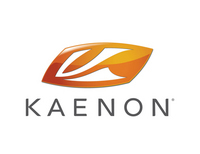 Phiten designs and manufactures sports accessories, apparel and care products with Aqua-Titanium™ technology, worn by elite athletes worldwide. Phiten is available at sporting goods retailers and professional sports stadium shops across the nation. At the heart of sports history for almost a century, no other company has been as influential and intimately involved in shaping the games of tennis, golf, baseball and American football as Wilson. As the originator of breakthrough technologies, Wilson has produced legendary classics and earned world-wide legitimacy in each sport it participates in. Backed by generations of athletes, Wilson is the true American icon in the world of sports equipment. Wilson is the world's leading manufacturer of ball sports equipment. Over 50 years ago, Wilson forever changed defensive play for baseball and softball with the creation of the A2000®. Today, our relentless commitment to the player lives on. From balls and gloves to helmets, uniforms and protective gear, our dedication to lead the industry in innovation continually puts us behind more winning moments than any other brand. From these modest beginnings, W.O’s company went from strength to strength through the 1920s, with an evolving series of acclaimed motor cars and a parade of racing triumphs to prove their outstanding performance. These laurels were capped with five outright victories at Le Mans between 1924 - 1930 and a sixth in 2003. If we had mission statements in those days, it could not have been expressed more eloquently than in the words of W.O. himself, “To build a good car, a fast car, the best in class”. GRAHAM traces its origins to London clockmaker George Graham (1673-1751), who is considered the father of modern watch making. He invented the start and stop device of the chronograph, as well as the dead-beat and cylinder escapement and the mercury pendulum for making clocks more accurate in extreme temperatures. Graham also built the master clock for Greenwich Royal Observatory, which became the world standard for astronomical accuracy for the next three centuries, and made London the international center of precision instrument manufacture. Our engineers, designers and watchmakers create a form of mechanical perfection that doesn't look or feel like just another Swiss watch. One that has its own quirky way of doing things. Indeed, our watches have a certain confidence about them. They're not shy and retiring. They've got big movements, big pushers and slightly bigger hands than most. We use mechanisms and materials in a slightly different way. Our watch wearers don't spend their lives gardening. They do stuff and that means grief for a watch mechanism. We devote years to cracking problems like that. George Graham would have been proud. GRAHAM was revived in 1995 and is today a privately owned Swiss watch company. GRAHAM SA creates and manufactures its watches in La Chaux-de-Fonds, Switzerland. BelieveDigi is a full-scale production company founded by award-winning filmmaker Ryan Gielen & hemophiliac actor Patrick James Lynch with the express aim of engaging young people with their health care through entertaining digital content and social media interaction. In February of 2013, BelieveDigi launched two groundbreaking projects, the comedic hemophilia web series Stop The Bleeding! and the claymation web series Helping Hany, which examines the psycho-social aspects of females with bleeding disorders. In April of 2013, BelieveDigi launched an initiative called What's Your imPOSSIBLE?, chronicling Lynch's quest to become the first severe hemophiliac to run The New York City Marathon. BelieveDigi's work has been featured on PBS, New 12 LI, NY1, The Ragan Report, Ebru Today, and others. CJ Wilson Mazda, part of the Zoom Zoom Nation family of dealerships, is one of the top dealer groups in the nation. The Zoom Zoom Nation began in Countryside, Illinois, and has grown every year, now serving the Greater Los Angeles and Chicagoland areas. Striving to be "not your typical dealership", the Zoom Zoom Nation makes the car buying experience fun and rewarding for all involved, whilve investing in the local community with annual events and fundraisers. ESPN Zone® Anaheim is honored to partner with C.J. Wilson’s Children’s Charities (501c3). Through our sponsorship of periodic CJWCC special events, we are able to help CJWCC continue to make a difference in the quality of life of all children. Located in the Downtown Disney® District at the Disneyland® Resort, ESPN Zone Anaheim has been immersing Guests daily in the world of sports since 2001. ESPN Zone provides a premium sports viewing experience accompanied by great food. From screening rooms to interactive games in our Sports Arena, there is something for sports fans of all ages. 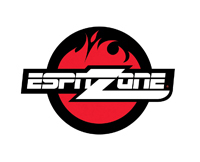 For information on programming, dining or special events, visit www.espnzone.com or call (714) 300-3776. Hammeras Group is a healthcare management organization that has helped over 4000 patients with their complex healthcare challenges, with an emphasis on cancer. They produce one-of-a-kind events in partnership with CJWCC and famed musician Mike Garson to bring a message of hope and collaboration for a better future of cancer treatments and cures. SURE Motorsports Ingredients: Mazda passion // meticulous engineering // creative design // excessive attention to detail // compounded Mazda forced induction experience // irreplaceable staff. SURE Motorsports has proudly partnered with C.J. Wilson's Children's Charities (501c3) to help bring a brighter future to children across the nation. Everyone here at SURE is passionate about this cause and pleased to assist the CJWCC team in their efforts to make a difference in children's lives. To show our support, we are donating a portion of every SURE order to the CJWCC. We feel that together with C.J., we can all make a difference. CSL Behring is a specialty biotherapeutics company. For more than a century, they have been serving people around the world who have serious medical conditions. Biotherapies differ from conventional pharmaceuticals. They are derived from human blood plasma or are manufactured using recombinant technologies. Conventional pharmaceuticals generally are derived from chemicals. CSL Behring is proud to serve communities of people who have von Willebrand disease (VWD), hemophilia, primary immunodeficiency (PID), hereditary Angioedema (HAE), fibrinogen deficiency, genetic emphysema, and other rare diseases. Our biotherapies can also prevent hemolytic disease of the newborn, and prevent or stop bleeding in emergencies or planned surgery. CSL Behring is passionate about saving lives and about improving the quality of life for people with rare diseases. Cook Children's Health Care System is one of the country's leading integrated pediatric health care systems. Based in Fort Worth, Texas, the non-profit organization includes a nationally recognized Medical Center, Physician Network, Home Health company, Health Plan, Northeast Hospital and Health Foundation. Knowing that every child's life is sacred, it is the promise of Cook Children's to improve the health status of every child in our region through the prevention and treatment of illness, disease and injury. Cook Children's includes more than 35 pediatric medical offices and specialty clinics throughout Texas. Cook Children's Medical Center is ranked in the top 5 percent of the nation's hospitals for its nursing excellence and has a distinguished reputation for the uncommon care and outcomes achieved in its Neurology and Neurosurgery, Cardiology and Cardiothoracic Surgery, Hematology and Oncology, Neonatology and Pulmonology programs. Southwest Airlines was incorporated in Texas and commenced Customer Service on June 18, 1971, with three Boeing 737 aircraft serving three Texas cities-Houston, Dallas, and San Antonio. Today, Southwest operates more than 550 Boeing 737 aircraft among 72 cities. Southwest topped the monthly domestic originating passenger rankings for the first time in May 2003. Yearend results for 2010 marked Southwest's 38th consecutive year of profitability. Southwest became a major airline in 1989 when it exceeded the billion-dollar revenue mark. Southwest is the United States' most successful low fare, high-frequency, point-to-point carrier. Southwest operates more than 3,300 flights a day coast to coast, and is the largest U.S. carrier based on domestic passengers boarded as of March 31,2011, as measured by the U.S. Department of Transportation . On May 2, 2011, Southwest acquired Orlando-based AirTran Airways and expects to complete the integration of the two airlines during the next several years. On any given weekend, there are more Mazdas on the road-race tracks of America than any other brand of vehicle. At the track, you'll see MX-5 Miata, RX-8, MAZDA 3, MAZDA 6, RX-7 and other vintage Mazda models competing, because every Mazda has the Soul of a Sports Car. In fact, the fastest growing road-racing class in the U.S. is the SCCA's Spec Miata class, with nearly 1,500 first- and second-generation Miatas tearing up America's racetracks, making it the most-raced production car in the world. Alpinestars is a manufacturer of technical, high performance protective gear for motorcycle and auto racing (MotoGP, Motocross, Formula One and NASCAR), as well as action sports such as Mountain Biking and Surfing. Alpinestars has also established a fashion division with design centers in California and Italy, which draws upon Alpinestars' heritage in motorsports. The company takes its name from the English translation of the Italian mountain flower "Stella Alpina" which grows high in the mountains around the area where the company was founded. In auto racing, flame and heat retardant Nomex suits, footwear, gloves and underwear have been developed in Formula One and NASCAR with recent champions Michael Schumacher, Jenson Button, Fernando Alonso and Jimmie Johnson using the gear with great success. Also, Top Gear's the Stig wears a white Alpinestars race suit, shoes and gloves. Now, the entire CJ Wilson Racing Team utilizes Alpinestars for their drivers' and crews' safety. Modular Space Corporation (ModSpace), based in Berwyn, Pa., is a leading provider of modular buildings, portable storage and services for temporary or permanent space needs. Building on more than 40 years of experience, ModSpace serves a diverse set of customers and markets—including commercial, construction, education, government, healthcare, industrial/energy and special events—through an extensive nationwide branch network throughout the United States and Canada. Forza Motorsport 4 is the latest racing simulator released by Turn 10 Studios for the Xbox 360. It is the fourth installment in the Forza Motorsport series and utilizes the Xbox Kinect feature to pick up head movement. It won the award for “Most Anticipated E3 2011 game” from Computer and Video Games. Combining passion for family with the passion of competition to improve the lives of families affected by autism. RaceNowForAustism.org supports existing local, regional and national autism non-profits by providing a creative promotional program by teaming up the racing community, regardless of racing discipline.